Unlike traditional cel and 3D animation, which both require a high level of artistry and technical skill, stopmotion films can be made by nearly anyone. 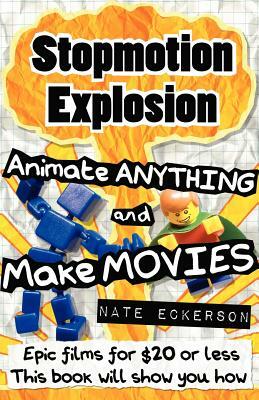 Using Stopmotion Explosion's techniques, stopmotion films have been made by animators as young as 8 (with adult supervision). Stopmotion Explosion contains 292 pages of example projects, hundreds of illustrations, and detailed step-by-step instructions for screenwriting, video editing, animating, audio recording and video processing software, no prior expertise required. Learn stopmotion science through an illustrated history of film and animation. See how stopmotion was first used in the special effects industry. Learn how "stopmotion" solved a heated debate among artists, and changed the way paintings were created forever. Animate intense battle sequences with frame-by-frame breakdowns of roundhouse kicks, uppercuts, and punches. Add gigantic explosions, gunfire, laser blasters, lightsabers and rocket-launch effects. Make your characters fly like Superman with special flying rigs and photo-editing magic.